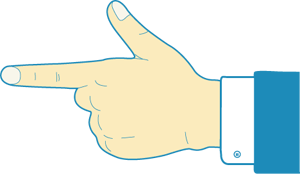 A hand icon which can be used as arrow signs. The hand is making a gun. This looks quite real so there aren’t mane cases we can use. Use your imaginations.